. . . 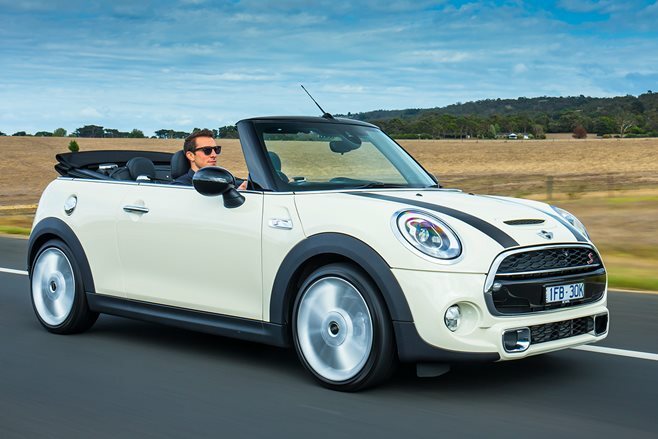 The Mini Cooper S Convertible is much easier to live with, almost as much fun and even more affordable than its predecessor. The grand scale of the Mini design language hasn’t taken the edge off its looks like some believe the five-door hatch has, and makes this the clear go-to drop top in this segment. MINUS: Poor rear vision with roof down; reversing camera not standard . . . .